industrial | creating powerful industrial images. 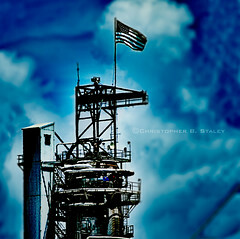 creating powerful industrial images. visual images designed to educate, communicate, and sell. In October, I strolled through the annual Advanced Manufacturing Technology Show in Dayton. Each time I visit here I am reassured that the future of industrial manufacturing is bright. It remains the Ohio hub for manufacturers, suppliers and shippers. Furthermore, the Dayton area has led to many technological innovations. It’s no surprise that the AMTS is hosted in this region over 30,000 square feet of exhibition space showcasing the latest products and technologies shaping the future of manufacturing. This is the reoccurring theme that stands out to me each time I visit an industrial manufacturing trade show. The AMTS was no different. The theme revolves around the idea that the images you choose to showcase your new products make a gigantic impact on the reputation, initial response and overall company image you work so hard at perfecting. Whether your business is developing new machines and technology or expanding its factory to maximize production, it’s vital to showcase these ‘upgrades’ in a way that adds value to your company. As you develop new technology you must showcase it in the best way possible. Technology photography plays an important role to connect the buyer to supplier and vice versa. The real machines may not always be available but powerful industrial images allow industry professionals to gain a better understanding of equipment, faster. 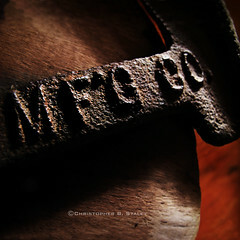 I believe mediocre images tend to make a company look like they are small and that they don’t care about their image. There is nothing wrong with a small company by any means. In fact they’ve been the foundation for many aspects of innovation since our industrial revolution. On the other hand, notice I mentioned “Don’t care about their image”. If you let your image wither down how can you expect anything to grow. Especially given the fact that your business photography is most commonly the first impression you give off when obtaining new business. There was a lot of nice photography at the AMTS but I was surprised to see many companies with subpar images. Updating your database of high quality product photos may not be the most economical decision at this point and time in the year. With that said, there are various others methods to get the most out of your current photography arsenal. 1. Pictures are powerful for SEO: Check out my recent post about the usage of pictures in industrial marketing to dive deeper into the concept but for starters you must correctly tag your photos with the most information as possible. Use ALT text to describe your product. Search engines find your photos by searching the text, not the image. ALT text is the primary text that Google uses to identify images in search results. ALT texts are usually the product name, i.e. 30 ft. horizontal car loading vacuum furnace, or Model MP1200 Melt Indexer. 2. Take advantage of free and powerful social photography tools: You may be timid to implement a social media tool such as Instagram into your industrial marketing strategy but believe or not, this platform can help you immensely. For your next trade show, call on the employee with the best eye to take snapshots of your new technology and equipment. These product photos can be tagged in Instagram and be shared within your community of followers. In the meantime feel free to follow me for a dose of industrial photos each week. What you see is what you get! The word photography comes from two ancient Greek words: photo, for “light,” and graph, for “drawing.” “Drawing with light”. Good photography combines texture, tone and shadow with dimensional character. This is different with every subject. Through experience I’ve learned what works and what doesn’t and I’m always looking for new ways to light different subjects. The biggest NO NO is on camera flash. Subjects should be lit with directional light. Photos taken with on camera flash tend to look flat and absent of mood and character. This is also known as ‘unnatural’ and most often, the background will be dark. Good Industrial photography translates the technical language of your engineering and marketing team by producing powerful visual images designed to educate, communicate, and sell.